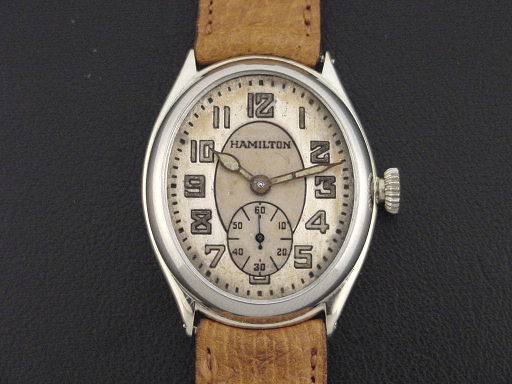 Very rare Hamilton “Oval” men’s Streamline Moderne design wristwatch in solid 14K white gold, circa 1928. 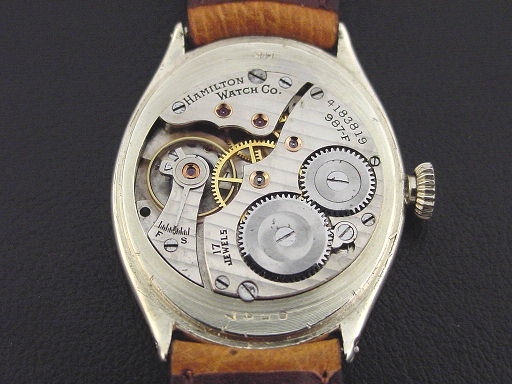 The “Oval” is uniquely Hamilton and is one of the most sought-after of all American vintage wristwatches. 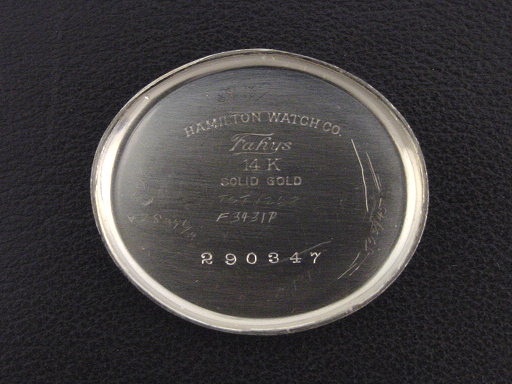 Priced to consumers at $85.00 in 1928, only 267 were produced in solid white gold. Solid gold examples of the “Oval” are very rare and seldom publicly offered for sale. 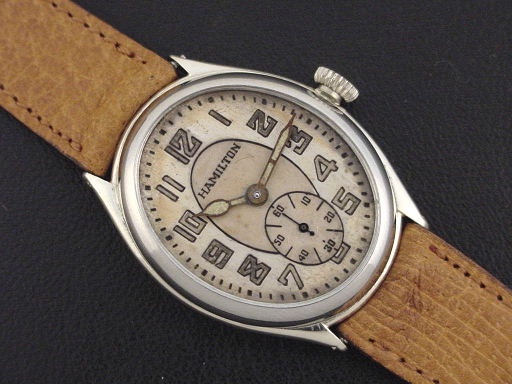 This example is in excellent condition showing only light wear. 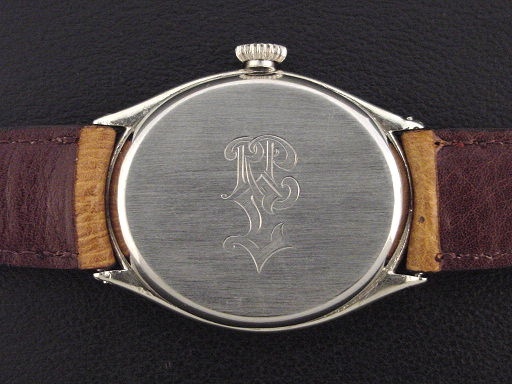 Caseback is excellent, with a monogram. Case measures 37mm long and 29mm wide. 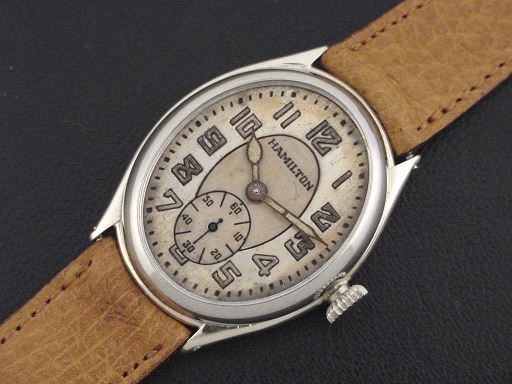 Original two-tone luminous dial is very good. 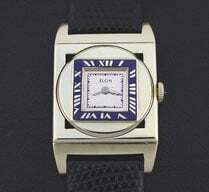 I can supply a perfectly refinished dial and hands for extra cost. Has new glass crystal. The watch is powered by its correct 17-jewel Hamilton grade 987-F movement, just serviced and running strong.